David Maus Volkswagen South is proud to sponsor BASE Camp of Central Florida by holding a collection for the families and children who utilize their organization – the Fill the Bug Campaign. A 1971 Super Beetle will be at the David Maus Volkswagen South store from July 18th through July 31st, 2011 to collect the items listed below. BASE Camp provides a year-round base of support for children and families who are facing the challenge of living with cancer and other pediatric life-threatening hematological illnesses. BASE Camp stands for Believe – Achieve – Support – Educate, offering programs for rest, nourishment, encouragement and strength throughout the journey children and their families face. David Maus Volkswagen South will also make a monetary contribution to BASE Camp through the Service Contribution Program. Our Fill the Bug Campaign is to collect items or donations for BASE Camp in support of their needs they provide for children with life-threatening illnesses. $100 sponsors a MILESTONE Party for a hospitalized clinic patient. $250 sponsors a hospital lunch for 40! $500 sponsors 20 new release movies for dinner and a movie night for hospitalized children! To find out more information on BASE Camp – please visit www.BaseCamp.org or call 407-673-5060. To find out more information on the Service Contribution Program and how you contribute, please visit our David Maus Volkswagen Service Department and speak to any of our Service Advisors. 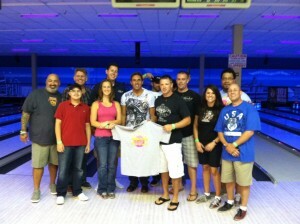 David Maus and Tonga Fifita aka “Meng” helped raise money for Rock Pink as Celebrity Bowlers for the 104.1 Monsters 4th Annual Bowl-A-Rama on Saturday, June 25th – raising $60,000 for breast cancer charities. David Maus was bid on by RL Haines General Contractors and was named the #1 Celebrity Bowler for the most money raised which was over $4,000. 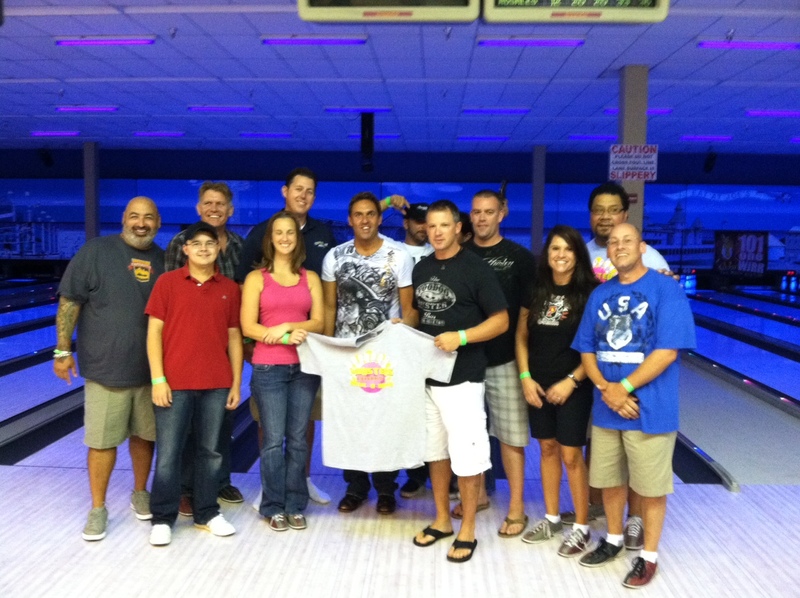 The event was held at Boardwalk Bowl on Colonial Drive by UCF. Every one of the 80 lanes were filled with teams and Celebrity Bowlers, enjoying the four hour event with taste testings, raffles, silent auctions and more! The David Maus Automotive dealerships have continuously supported local and national organizations dedicated to raising funds for breast cancer research, mammography testing and treatment. For the past three years David Maus Volkswagen has been a sponsor of the Libby’s Legacy Breast Cancer Foundation Scooters for Hooters event, held each April. In October all employees wear pink every Friday to raise money for the American Breast Cancer Foundation and the Susan G Komen Foundation. “This was an incredible event. It was nice knowing that all of the money raised is going to benefit such an amazing cause! We would like to thank the Monsters Morning Show and Rock Pink for inviting both Tonga and I to be a part of it,” said David Maus, Vice President of David Maus Automotive Group. For more information on the 4th Annual Monster Celebrity Bowl-A-Rama to benefit Rock Pink visit www.rockppink.com/bowling or email bowling@rockpink.com. Rock a healthier life!